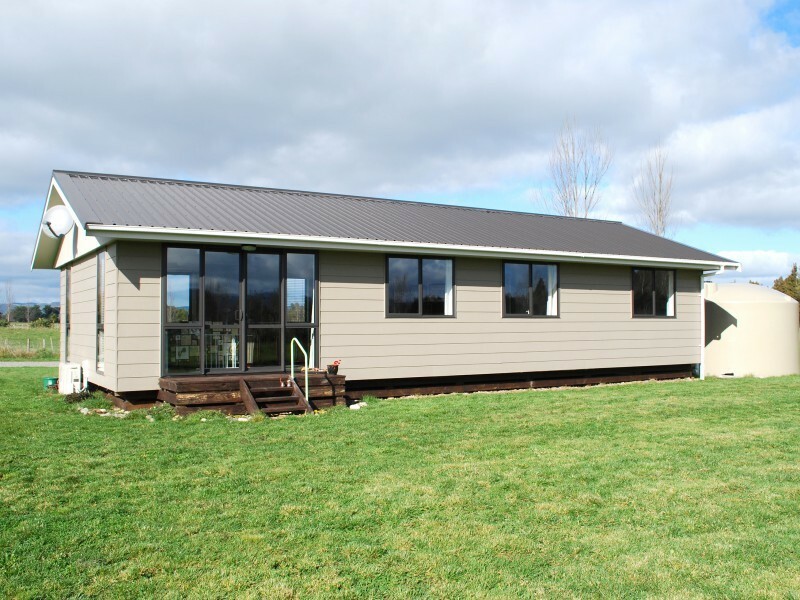 This two year old, three bedroom Keith Hay home has been beautifully finished by a retired couple, to be near their family, but they are now planning to move north. 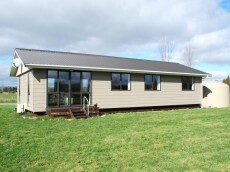 A superb use of space offers an open plan kitchen/dining/lounge with great views across to the Tararua Ranges. Sunny and warm, thanks to northwest orientation, all round insulation, double glazing and a Fujitsu heat pump. Two double bedrooms, plus a single and a spacious bathroom, with separate toilet. All in all, this is a very comfortable home. The paddock is grazed in conjunction with family neighbours, but a little more fencing would allow a few more stock to graze on the 2ha title.